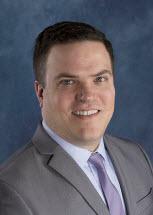 Dan Csuka is a senior associate with Moore Leonhardt & Associates. Mr. Csuka’s practice focuses on both health care and employment law. He possesses extensive experience in counseling on and investigating complex legal and general business matters including avoidance of administrative investigations and charges, regulatory compliance with health care and privacy laws, internal investigations, and corporate formation and governance. Mr. Csuka regularly advises health care providers — including private physician and dental practices, individual practitioners, and home health care agencies — in matters involving the False Claims Act, HIPAA, allegations of fraud or abuse, potential exclusion from participation in federal health care programs, compliance issues, and general business disputes. In addition to counseling, Mr. Csuka also regularly defends licensed health care professionals and entities in actions brought by the state and federal agencies. Mr. Csuka’s health care practice also regularly involves representing physicians in connection with the defense of internal hospital proceedings, including peer review hearings, credentialing and medical staff privileges. He has also successfully represented students and medical residents on appeals related to academic and related misconduct matters. As an experienced employment law attorney, Mr. Csuka has represented both employees and employers in cases involving counseling on and litigation of breach of contract, wrongful termination, discrimination, retaliation, harassment, defamation, trade secret misappropriation, privacy violations, restrictive covenant enforcement, wage and hour disputes, emotional distress and other related claims. Mr. Csuka was an associate with Moore Leonhardt & Associates from 2012-2014. Prior to re-joining the firm in 2017, Mr. Csuka worked at two mid-sized Connecticut law firms. He was a member of the litigation and health care law departments at one firm and, at the other, focused exclusively on representing management on matters involving employment law. Moore Leonhardt & Associates, from law offices in Hartford, Connecticut, represents clients throughout the state.